The Kiwi born coach spent two seasons overseeing the club’s colts program and had watched a number of his younger players train the house down through preseason. When it came time to name his side for this year’s opening round clash against Parramatta, the decision was fairly simple. Taylor named a new look backline filled with two 21-year olds and five 20-year olds. From that backline, five players have been named to start in Saturday’s grand final. “They were the best available blokes at the time. A few guys like Stu Dunbar had niggles through preseason, so that ruled them out,” Taylor told Rugby News. 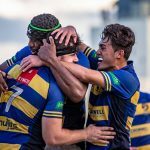 Fullback Tim Clements, wingers James Kane and Harry Potter and centres Will McDonnell and Guy Porter will all start for the Students in tomorrow’s decider in their first full season of grade rugby. “We always had a belief that we could win the competition, but I think every side does at that point of the season,” Taylor said. “We had a favourable start to the year with the draw and after a few of those performances, I think we all realised that we really could go on and do something special. The Students were the form team of the competition from the opening week and the young Uni backline thrived under Taylor’s unique attacking system and scored more points than any other side this year, despite holding the ball for the least amount of time. “That style really suits our playing group. Our young guys want to play footy and they want to keep the ball in hand and have a crack in attack so our system is sort of a combination of some of my ideas and how our players like to play,” Taylor explained. Most critics and a number of rival coaches expected the Sydney Uni youngsters to struggle towards the back end of the season, as the competition heated up, but the baby Students rose to the challenge time and time again and Taylor said he’s confident it’ll be no different on Saturday. “They’re young but they’re surrounded by some highly experienced guys and it’s a very tight group so I think we’ll be okay. “In the backs, some of the guys in key positions have been there before and I think the others will rise to the challenge. 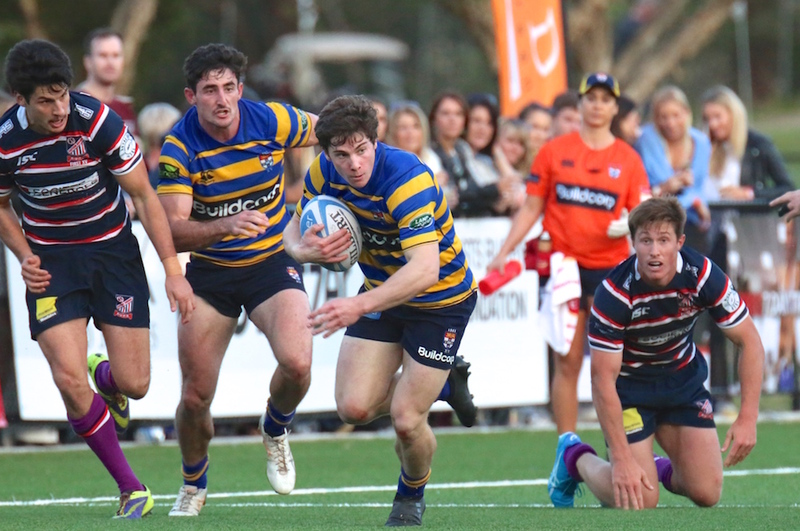 The Uni backline has played behind a dominant forward pack for the majority of the season, but Taylor said his side is prepared for a tougher battle up front this weekend against Warringah. “If we’re not going forward, I think we’ll do what we’ve done all year and just put the ball in behind them. We kick the most of any team in the competition and as I said, we’re a team that loves to defend. Last week, we kicked more than Manly but still managed to score 40 points,” he said. 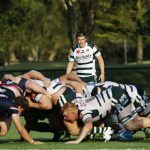 Sydney Uni take on Warringah in the Shute Shield grand final at 3pm at North Sydney Oval tomorrow afternoon. 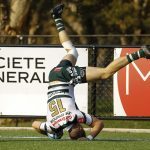 Earlier in the day, Easts play Eastwood in the second grade decider, Easts take on Norths in third grade and Norths play Warringah in fourth grade. 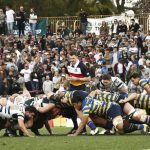 On Sunday, Randwick play Gordon in the first and second grade colts grand finals, while Gordon play Easts in third grade colts.